"Thank you, and I want to thank everybody for joining today's call. I want to welcome you to U.S. Geothermal's year end 2013 financial results conference call. Joining me today from the beautiful country of Guatemala is Doug Glaspey, our President and Chief Operating Officer; and with me in the room today is Kerry Hawkley, our Chief Financial Officer." On Thursday, April 3, at around 11 am (PST) Senator Ben Hueso, Chair of the Senate Select Committee for California’s Energy Independence, and Assemblymember V. Manuel Pérez, Chair of the Assembly Select Committee of the Renewable Energy Economy in Rural California, will hold a joint informational hearing to discuss the policies and trends affecting geothermal energy production in California. “Geothermal power is important to California’s renewable portfolio standard (RPS) requirements. However, despite geothermal contributions to the grid, the use of this power source has been steadily decreasing over time. We need clear answers and a thorough understanding of how geothermal power can be used to advance renewable energy production in California,” said Senator Hueso. Representatives of the Geothermal Resources Council (GRC) will be in attendance. Sonoma County’s startup public power agency is drawing closer to the onset of service in May, seeing higher-than-expected enrollment and savings for its first round of customers compared to Pacific Gas & Electric Co. The renewable energy-focused agency, Sonoma Clean Power, announced that 5.4 percent of those first-phase customers had opted to remain with PG&E as of March 20. The agency originally projected a 22-to-25 percent opt-out rate for its first round of customers by the end of 2014, but current participation suggest a 3-to-5 percent greater rate of enrollment, according to materials for the agency’s board of directors. Sonoma Clean Power will launch a 100 percent renewable product, “EverGreen,” will be offered at a 20 percent premium, drawing entirely from geothermal power produced at the Geysers geothermal field straddling Sonoma and Lake counties. Sonoma Clean Power said 192 accounts have already signed up for the EverGreen program. A baseline “CleanStart” product is made up of 33 percent renewable energy. It is a strict definition that excludes some low-carbon sources like hydroelectric power, though low-greenhouse-gas emitting sources also represent a large portion of that power mix. Geologists have found large masses of hot dry rock (HDR), a form of clean energy, in northwest China's Qinghai Province, authorities said Monday. The rocks, at least 150 sq km in area, were found 2,230 meters under Qiabuqia township in Gonghe County, in the northern part of the Gonghe basin. It is the first time such a huge amount of HDR has been found in China. The breakthrough was made by a China Geology Survey geothermal energy project, in partnership with Qinghai's department of land and resources. The project has been two years in the making. The amount of HDR on the Chinese mainland is estimated to be equal to about 860 trillion tonnes of standard coal -- 260,000 times that of China's current annual energy consumption. 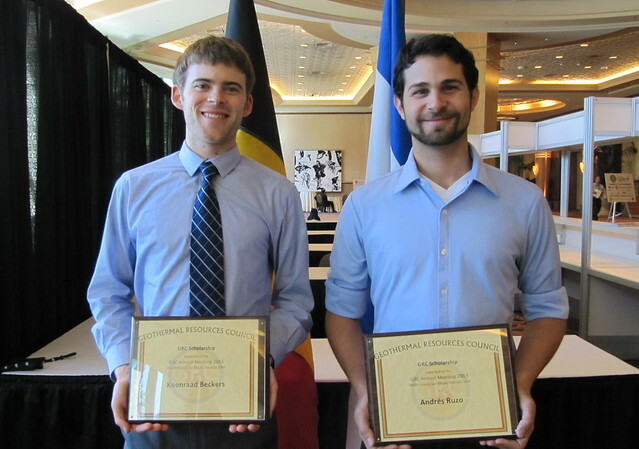 The Geothermal Resources Council (GRC) has extended the due date for 2014 GRC Scholarship Awards applications. The new date is May 1, 2014. 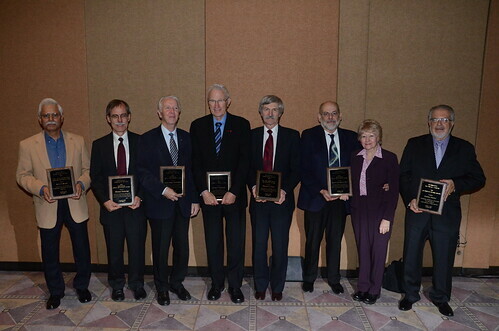 Selected recipients will be notified no later then June 2, 2014. 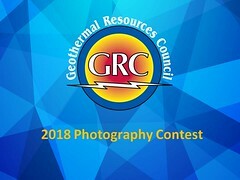 The Geothermal Resources Council (GRC), a non-profit educational association dedicated to the promotion of geothermal energy and associated technologies around the world, reminds students of the availability of the 2014 GRC Scholarship Awards. The total amount awarded has been increased to $15,000 for 2014 from $5,000 in 2013. To qualify for one of these awards a student must be a GRC member (student memberships are only $5 per year) and must meet the award-specific requirements listed below. Selection of recipients will be based upon a variety of factors, including the individual’s academic record, student activities, geothermal industry experience, and career goals. The U.S. Energy Department will soon issue a plan to offer more loan aid for renewable energy projects, Energy Secretary Ernest Moniz said on Friday. "We will have another call in the loan program for renewables and efficiency in the not-too-distant future," Moniz said at a policy forum for the American Council on Renewable Energy (ACORE). He did not specify how much loan aid would be offered or specify the type of projects the department would seek to fund. Flying to the GRC Annual Meeting & GEA Expo? 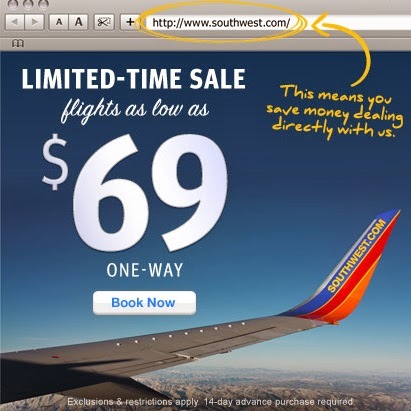 Cheap Flights Now Available! Southwest Airlines is the major air carrier flying into Portland, Oregon. They are now having a sale - one-way flights as low as $69 are available! The sale travel window includes dates at late as October 29, 2014. The GRC Annual Meeting & GEA Expo is from September 28 - October 1 so if you want to save a few bucks buy your flight tickets now. These fares are only available for a limited time, so don't miss your opportunity to save big on your trip. Book by April 7 for travel August 26 through October 29, 2014. The Bureau of Land Management (BLM) Battle Mountain District recently issued a site license to Ormat Technologies, Inc. for the construction of their second power plant located on public lands at the McGinness Hills Geothermal Project, approximately 16 miles northeast of Austin, Nevada. In 2011, Ormat was authorized to construct two geothermal power plants and completed the first in 2012. The second power plant, nearly identical to the first, is a binary air-cooled operation capable of producing approximately 45 MWe. The previously analyzed surface disturbance totals about 16.5 acres and includes a substation used to transform generated low voltage to the higher voltage required for a transmission line. A 9-mile long, 230 kV overhead transmission line connects the site to the existing NV Energy Frontier substation. Recent visits to Manila by New Zealand Minister of Civil Defence Nikki Kaye, and former Mayor of Christchurch Sir Bob Parker, were opportunities to share with the Philippines our respective experiences in preparing for, and responding to, major natural disasters. At the very same time as these visits took place, a renewable energy delegation of some 18 companies from New Zealand also visited Manila — a reminder that the same geological attributes that make both New Zealand and the Philippines vulnerable to earthquakes can also be harnessed for electricity generation. New Zealand and the Philippines have a long and proud history of energy cooperation. In the early 1970s, as the world sought alternative sources of fuel to oil, technical assistance funded by the New Zealand Government helped contributed towards the development of the first geothermal energy fields in the Philippines, at Tongonan and Palinpinon. Nearly 40 years on, and the Philippines is the world’s second largest generator of electricity from geothermal steam. New Zealand is also a major geothermal player, with our companies looking for opportunities offshore. New Zealand companies provide consulting services and technical support to partners in the Philippines and scholarships provided by the New Zealand aid programme have included those for post-graduate study at Auckland University’s geothermal institute including, in recent times, an official from the Department of Energy’s geothermal energy division. Ormat Technologies, Inc. announced today that members of the Sarulla Consortium comprising of Medco, Itochu, Kyushu and Ormat signed $1.17 billion project financing agreements to finance the development and construction of the 330 MWe Sarulla geothermal project in Tapanuli Utara, North Sumatra in Indonesia. Closing is expected in the second quarter of 2014 subject to fulfillment of certain conditions. Upon closing, the consortium is expected to begin construction with the first phase to commence operation in 2016. The remaining two phases are scheduled to be in commercial operation within 18 months of the first phase. Chile is privileged with abundant geothermal energy resources that can help meet the nation’s growing energy demand. Yet to date, this source of stable and clean energy remains largely undeveloped. A series of barriers have so far limited the expansion of the sector. To overcome existing hurdles to geothermal energy production and unleash the sector’s full potential, concerted action is needed, particularly from the public and private sectors. Chile’s decision makers should consider a series of policy mechanisms that could help attract—and grow—early investment. It will also be necessary for the government to reduce lingering legal and regulatory ambiguity and demonstrate strong political will to overcome institutional constraints and move geothermal energy forward, along with other nonconventional renewable energy technologies that are already more established in the country. The Chilean Renewable Energy Center recently released its annual report for 2013, and the numbers send a clear message: Chile’s non-conventional renewable energy sector is where the action is. While conventional energy projects –coal and large hydro– linger in judicial appeals and administrative reviews, developers are advancing solar, wind and other renewable projects with gusto. If the new government can help remove some of the remaining obstacles to renewables’ growth, we can expect these numbers to be even higher next year, proving that the future of Chile’s energy sector is in clean, sustainable and renewable energy. Of course, not all of the renewables projects in the pipeline will reach the operational phase. Many obstacles remain that this sector will have to overcome in order to compete on a level playing field with the conventional energies. For example, the bidding process for long-term purchase contracts currently favors conventional energy projects, and without signed contracts it is more difficult for renewable developers to get financing for their projects. The geothermal energy industry in particular faces hurdles such as the longer construction period for its facilities and higher up-front costs during the risky drilling phase of the project. PhD Scholarship - "Reinjection of Non Condensable Gases in Geothermal Reservoirs" at The University of Auckland. Tuition fee (three years), full time only (no exceptions). Salary of $25,000.0 NZ pa (Tax Fee). $3000.0 NZ pa for research related travel expenses. The objective of the research is to develop new numerical and applied field techniques for modelling and understanding injection/reinjection of non-condensable gases (NCG) into geothermal reservoirs. This is to provide pressure support to the geothermal reservoir while reducing greenhouse gas (GHG) emissions of geothermal power developments. The GeoMol Mid-term Conference will take place in Leoben, Austria, on 5th and 6th June 2014, kindly hosted by the Montanuniversität / Joanneum Research. It will inform you on the state-of-the-art, the (preliminary) results and developments of GeoMol including the official launch of GeoMol’s web-based transnational geo data infrastructure for dissemination and query of multidimensional geological information. GeoMol invites you to report on your research and expertise on these topics and how the results of GeoMol could support your work. Thus, your contribution on the subject, oral or poster, is highly appreciated. The GeoMol Mid-term Conference is free of charge, catering will be provided. Joint Press Release: Want a competitive Europe? Embrace renewables. The First Cosmic Particle Detector for Geothermal Exploration Installed in Tenerife, Spain. Científicos del Instituto Vulcanológico de Canarias (Involcan), del Instituto Tecnológico y de Energías Renovables (ITER), ambos promovidos por el Cabildo de Tenerife, y del Instituto de Investigación de Terremotos (ERI) de la Universidad de Tokio (Japón), han instalado un detector de partículas cósmicas (muones) a un kilómetro de profundidad en el subsuelo de Tenerife aprovechando la densa red de galerías existentes en la isla. Scientists from the Volcanological Institute of the Canary Islands (Involcan), Institute of Technology and Renewable Energies (ITER), both sponsored by the Cabildo of Tenerife, and Earthquake Research Institute (ERI) of the University of Tokyo (Japan), have installed a detector of cosmic particles (muons) a mile deep in the basement of Tenerife leveraging existing dense network of galleries on the island. The Canadian Geothermal Energy Association (CanGEA) is hosting its Annual Geothermal Conference and Workshops this week in Calgary, Alberta, Canada. 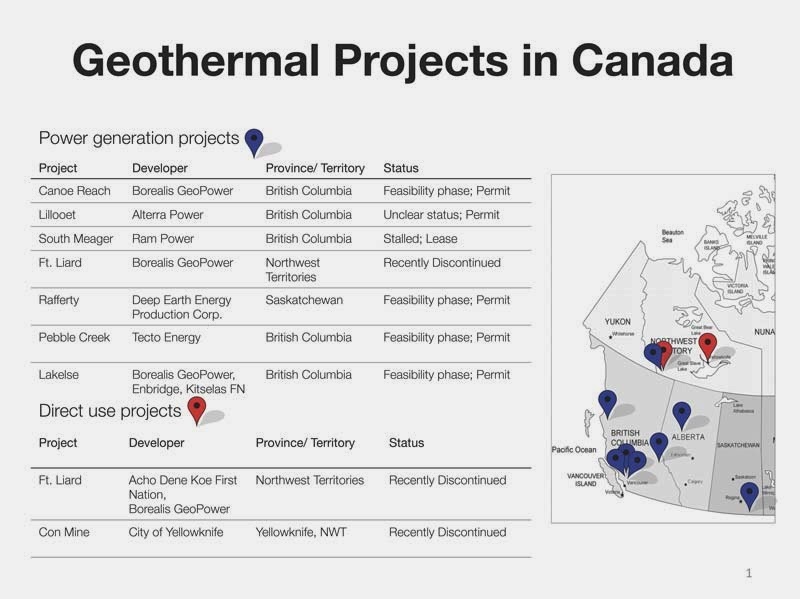 Despite the success of its neighbor to the south in developing geothermal energy resources, Canada has not brought even one geothermal energy project to conclusion. The chart above lists the 7 power generation and 2 direct use projects that have been or are being developed. The Commonwealth of Dominica’s geothermal energy exploration, which commenced in 2011, has been commended by an official of the Organization of Eastern Caribbean States (OECS) Secretariat. “In terms of the work that has been done in Dominica, it has been exemplary and I want to say congratulations,” Dr James St. Catherine of the OECS Secretariat said. The Dominica Government is pursuing the best options for the construction of a 15 MWe geothermal energy plant for domestic supply and a 120 MWe plant for export to Guadeloupe and Martinique via undersea cable. The government successfully completed the first phase of the project – drilling of production wells on March 1, 2014. The next phase involves shutting down the wells for a twelve week period to monitor progress on the generation of heat. Pan Global, Corp. of Carson, Nevada, USA today provided an update on its plans for entering the geothermal energy production industry in India. On January 21, 2014, Pan Global announced it had commenced preliminary discussions with a key developer in India's geothermal industry about possibly forming a partnership concerning the company's investment in a geothermal powerplant in India. Today, the company reports that that discussions have progressed positively and both parties expect further discussions to yield a framework for joining forces on a specific power plant project. Japan’s government will guarantee debt to build geothermal power stations to attract investment by private financial institutions, the Ministry of Economy, Trade and Industry said. State-run Japan Oil, Gas & Metals National Corp. (JOGMEC) will for the first time offer the guarantee for a 5 MW project planned by a unit of Kyushu Electric Power Co. in the southwestern prefecture of Oita, the ministry said in a statement. JOGMEC will also guarantee debt for a 400 kilowatt station in Fukushima in northeastern Japan, according to the ministry. The move is to encourage financing from institutions that are unfamiliar with geothermal projects, said Hidefumi Nakashima, a JOGMEC official after a press conference in Tokyo today. Ormat Technologies, Inc. today announced that its wholly owned subsidiary, Ormat Nevada, Inc., signed an agreement with RET Holdings, LLC to sell the 10.8 MWe photovoltaic Heber Solar project in Imperial County, California for $35.25 million. GRC Patron member Ormat received the first payment of $15 million with the remainder expected to be paid in the second quarter of 2014, subject to fulfillment of certain milestones. As a result of the sale, Ormat will record a pre-tax gain of approximately $7.0 million. The project, which started development in 2011 next to the Heber geothermal plant, has a 20-year Power Purchase Agreement (PPA) with the Imperial Irrigation District (IID) for 10 MW of solar photovoltaic (PV) energy. For just over US$3 Million you get your own western ranch with it's own geothermal hot-springs. This roughly 360-acre Idaho ranch near Stanley, features panoramic mountain views and a geothermal hot-spring system that flows into an outdoor tub. Two bodies of water, the Salmon River and Warm Creek, snake their way across part of the property. The geothermal hot-spring system is directed into a hot tub, in which water bubbles up to the surface at around 110 degrees, and sometimes warmer, said listing agent J. Trent Jones of Hall and Hall. There are a number of DOE grants available for research on geothermal systems and building technologies. The Geothermal Technologies Office (GTO) is seeking applications for projects that address the overarching theme of uncertainty quantification and reduction, specifically through the development of Geothermal Play Fairways. A play fairway analysis defines levels of uncertainty with respect to the presence and utility of geothermal system elements, and translates them into maps to high grade the geographic area over which the most favorable combinations of heat, permeability, and fluid are thought to extend. Further instructions and documents: Click here. GTO seeks research projects that will facilitate a better understanding of physicochemical conditions to optimize subsurface engineering and stimulation methods, as well as assess and better understand the evolution and sustainability of a reservoir during long-term operations. Scientists are focusing in particular on combining OTEC with other forms of renewable energy, such as solar power or geothermal power, to enhance its potential and render it effective in a broader range of environmental conditions. The engineers at the Korean Ocean Research & Development Institute (KORDI) are also investigating the possibility of adding geothermal energy to the mix, which would enable them to heat up water for OTEC usage on a 24-hour basis. U.S. Geothermal released financial results today from its year-end 2013. According to a news release, the company recorded $27.4 million in operating revenue for 2013 versus $9.8 million reported in 2012 while EBITDA came in at $14.5 million over a loss of $0.5 million filed in 2012. Net income totaled $4.1 million for the year compared to a net loss of $4.3 million reported in 2012. This 60 minutes webinar will be valuable for people and companies with experience in the geothermal sector in the UK. Mexico has 958 MW of installed capacity in geothermal energy, and the estimate to be developed is 6 GW, contributing to the 2.4% of the national electric output for public service. Beyond this, Mexico has to achieve 35% in renewable energy by 2024, and one of the main focus of the energy ministry is geothermal energy. This webinar will provide an insight into the Mexican geothermal sector highlighting the development plans and business opportunities for UK companies with experience in this sector. One of the main presenters will be the president of the Geothermal Energy Association in Mexico and the president of the cluster of geothermal companies in Mexico, they will provide excellent update information about the sector. The Indonesian Government is currently drafting an amendment to revise Law No. 27 of 2003 on Geothermal Energy (Geothermal Law). The amendment is scheduled to be passed by the House in May or June this year. According to the Government, the revision is expected to resolve current issues related to the geothermal energy sector, including geothermal energy prices, complicated licensing procedures and insufficient investment. “With the revision, it is hoped that all problems deterring the development of geothermal energy, such as overlapping regulatory issues, can be resolved,” stated Trisnaldi, Director of Geothermal Energy at the Ministry of Energy and Mineral Resources last Thursday. Chile’s Agricultural Innovation Foundation (FIA) has provided CLP55.5 million (US$98,088) for a pilot project to test the use of geothermal energy to control greenhouse temperatures, with positive results observed to date. The initiative in Lampa, north-west of Santiago, the capital of Chile, is the first of its kind in the South American country, and was developed by agricultural businessman Sergio Aguilar. Fernández said the system under trial pumped water from a well through a machine, which enters at 15°C (59°F) but is reduced immediately to 8°C (46.4°F) when heat needs to be delivered. In contrast, when greenhouse temperatures need to be reduced during summer, the water that enters becomes 3-4°C warmer. The release said the use of geothermal power in greenhouses could reduce energy costs by 50% compared to conventional cooling methods. Japan will lift the amount utilities must pay for electricity from offshore wind farms while cutting prices for power fed in from solar projects, as the country looks to diversify its use of renewable energy. However, the tariff for geothermal power remains unchanged. The decision by Ministry of Economy, Trade and Industry (METI) follows a recommendation made by a government panel earlier this month and aims at boosting business for companies connected to the wind sector both at home and abroad such as Hitachi Ltd and Mitsubishi Heavy Industries. Japan, hoping to boost alternative energy in the wake of the Fukushima nuclear disaster, introduced a feed-in tariff scheme in 2012, under which utilities must buy all power generated from renewable sources such as wind, solar or geothermal. Depending on project size, Geothermal power will receive 26-40 yen per kilowatt-hour (kwh) in fiscal year 2014, unchanged on Fiscal 2013. The vast majority of the American public claim to be energy efficient, but when it comes to putting words into action, the assertions fall short. Despite the fact that many are not actively trying to conserve energy, they can be critical of the type of energy and where it comes from -- but perceptions are changing, according to a Harris Poll. For example, when asked whether the risks outweigh the benefits of several mainstream and emerging sources of electrical power, 78 percent said solar and 76 percent said wind have benefits that outweigh their risks. Natural gas and its scrutiny of hydraulic fracturing have grown slightly in the perception of benefits outweighing risks -- to 68 percent, up from 64 percent in 2011. In regard to nuclear power, however, the 37 percent of Americans believing its benefits outweigh its risks is down seven percentage points from five years ago. Roughly half of Americans (52%) believe geothermal energy’s benefits outweigh its risks, with its main impediment not a perception of risks outweighing benefits (with only 8% believing this), but rather indecision, with 40% of Americans being not at all sure. CalEnergy Operating Corporation was recently recognized as the 2014 Company of the Year by the Imperial Valley Economic and Development Corporation. The Imperial Valley Renewable Energy Corporate Leadership Award was presented to CalEnergy Operating Corporation representatives at the Imperial Valley Renewable Energy Summit in Winterhaven on March 14. The annual award is presented to an organization that makes significant contributions to growing the renewable energy industry to the benefit of the region, a press release stated. "CalEnergy is honored to receive this award," said Steve Larsen, president of CalEnergy, in a written statement. "We recently renewed our long-term commitment to the area with an announcement to invest more than $1 billion in capital improvements to our existing facilities to sustain the geothermal energy generation for California and surrounding areas for the next 30 years. It is great to have the community support behind us as well." 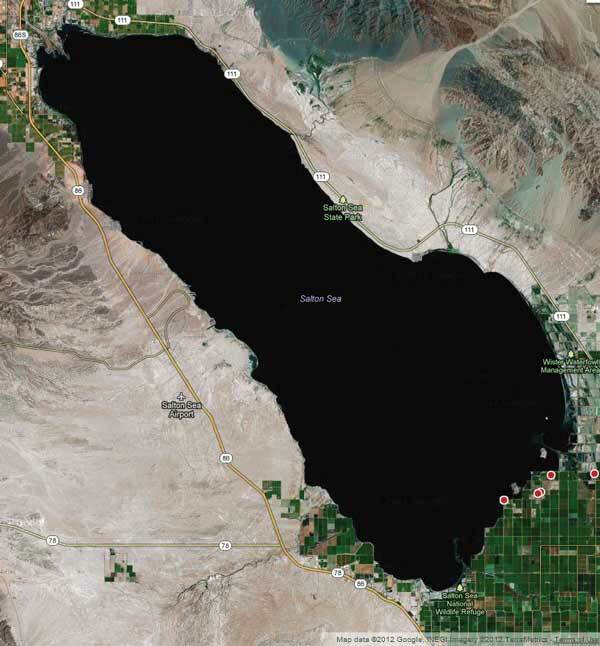 CalEnergy owns and operates 10 geothermal generation facilities in the Salton Sea Known Geothermal Resource Area in California’s Imperial Valley. CalEnergy, also known as MidAmerican Geothermal, is a subsidiary of MidAmerican Renewables. Energy and Water Minister Arthur Nazarian said Monday that there was more than 70,000 times Lebanon’s annual energy consumption available from geothermal energy. “The geothermal resource assessment for Lebanon showed that the geothermal energy available in the country is 1,000 million megawatt hours, which is 70 fold the amount of energy needed in Lebanon per year,” he said, adding that only a small quantity could be utilized with the technology currently available. The minister underlined the need begin work on geothermal energy in Lebanon, as the extraction process takes a long time. Nazarian said that the ideal scenario would be to meet 0.2 percent of Lebanon’s total energy needs with geothermal sources by 2025. Three new private investors are set to be awarded licences to tap into the vast geothermal resources in Kenya’s Rift Valley. Kenyan Energy Cabinet secretary Davis Chirchir told the International Geothermal Association meeting held in Manilla, Philippines, that Geothermal Development Associates, Quantum Power and Ormat Technologies, are “coming soon”. Mr Chirchir said two other corporations Schlumberger and Baker Hughes have already set up shop and are providing technical support to fast-track geothermal development. A Kenyan Senate committee has urged the government to adequately fund geothermal exploration to ensure power consumers enjoy lower tariffs. This would reduce the cost of production and increase competitiveness of manufacturing industries, it said. In a report written after touring Geothermal Development Company’s (GDC) plants in Baringo and Nakuru counties last July, the Senate standing committee on energy, roads and transportation said the agency experienced delays in disbursement of funds from the government. “There is adequate, sufficient and timely inflow of finances from financiers and donors but GDC experiences delays and unpredicted disbursements from the government. “The government should adequately fund and support geothermal development to ensure that Kenyans enjoy lower tariffs,” read the report in part. Contact Energy Limited (Wellington, New Zealand) issued a major services and supply contract to Hamon Australia Pty Limited (Sydney, Australia) for a cooling tower upgrade at the 68 MWe Ohaaki Geothermal Power Station in north Taupo, New Zealand. The scope for the contract will involve design, engineering and manufacturing, including the installation of the cooling tower. U.S. Geothermal and Malheur County officials have signed a lease on county property for evaluation of geothermal potential south of Vale in south-east Oregon. U.S. Geothermal operates a geothermal power plant west of Vale. The property involved in the agreement includes 133 acres, which are accessed off Lytle Boulevard. The land abuts private land where the company has obtained leases, according to information provided to Malheur County Court. Kit Kamo, Snake River Economic Development director, has been working with U.S. Geothermal on finding a new site for potential development for geothermal power near Vale, with it being near a fault line. U.S. Geothermal “has to do a lot of research,” Kamo said. That research includes determining the volume of hot water and whether it is hot enough. A plant near Vale would be smaller but quieter than the plant at Neal Hot Springs, west of Bully Creek Reservoir, as water would be used for cooling rather than compressors, Kamo said. Renewable energy developer Emerging Power Inc. (EPI) will boost its ability to raise funds, by raising its authorized capital stock, for its 40 MWe geothermal project in Mindoro. In a statement, the company said it already obtained the approval of the Securities and Exchange Commission (SEC) to raise its authorized capital stock to P500 million from P100 million. The company said that, with the rise in capital stock, it could now begin the Montelago geothermal power project in the barangays of Montelago, Montemayor and Melgar-B in Naujan, Oriental Mindoro and will supply 20 MWe to Occidental Mindoro Electric Cooperative (Ormeco). The Department of Energy earlier granted a geothermal renewable energy service contract to EPI, which would start drilling by the third quarter of this year and begin providing electricity by mid-2016. Patricia Loui, board of director for the Export-Import Bank of the United States (Ex-Im Bank), and Raul B. Aguilos, undersecretary for the Department of Energy (DOE) of the Republic of the Philippines, signed a $1 billion memorandum of understanding (MOU) at a ceremony in Manila Wednesday. More specifically, the MOU targets renewable-energy and LNG projects in the hopes of upgrading and expanding the Philippine energy supply in the wake of Typhoon Yolanda. The U.S. GEA's one-day "International Geothermal Showcase" will showcase geothermal projects, trends, and governmental policies in the U.S. and around the world. Topics covered will include; the geothermal market today, major public funding entities, how to address and reduce geothermal project risk, projects under development in the U.S. and internationally, outlook for the future of the geothermal market, policies driving geothermal development, and more. 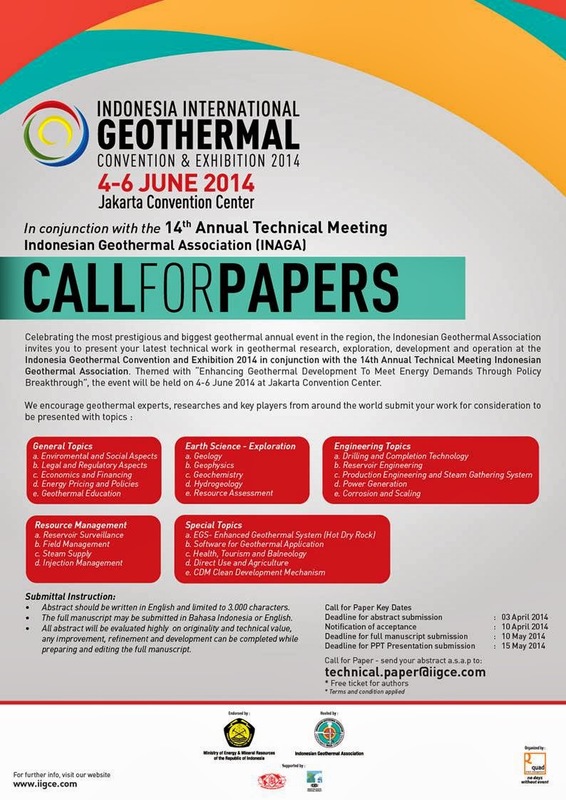 Call for Papers - The Geothermal Resources Council (GRC) invites you to present your latest technical work in geothermal research, exploration, development and utilization. Deadline for submission is May 2. Reserve your Hotel Room Now - Room rates starting from $126 per night - Discount ends September 3. Annual Photo Contest - Entries must be received by the GRC office by August 31. If Nome wants geothermal power, the city has to decide by next week if and how it is going to pay for that energy. While the Imperial Irrigation District is entering into “definitive talks” with a potential investor in its proposed 500-kilovolt energy transmission line at the Salton Sea, IID staff lobbied for the plan at the California Independent System Operator (CAISO)’s Board of Governors meeting Thursday. The IID wishes to spur renewable energy generation at the Salton Sea and, in turn, fund environmental restoration initiatives. The sea’s geothermal energy potential is an estimated 1,700 MWe. Mineral extraction could generate $1.5 billion over 30 years. Aguacaliente spokesman Trent Yang tells The Times-News in a story on Friday that the company recently finished drilling a third successful production well. Yang says the company hopes to build a 25 MWe power plant at Walker Ranch. The location is near an existing 10 MWe Raft River geothermal plant operated by U.S. Geothermal Inc.
Aguacaliente plans to drill 18 wells. Yang says half will be used to pull up hot water and half will be used as reinjection wells to return the water underground. He says the company hopes to have the geothermal plant running in 2016. Geothermal energy continues to be a prominent growth industry in Nevada due to the state’s abundant high-temperature geothermal resources. Today, the Clean Energy Project (CEP) was joined by Senator Reid, Governor Sandoval and renewable industry leaders in releasing a new report on Nevada as a clean energy economic hub. Total investment in Geothermal in Nevada in the past 30 years is estimated by the U.S. Geothermal Energy Association at $2.2 billion to $2.8 billion, with about $1 billion of that occurring since 2009. With 32 operating geothermal power plants producing 566 MW of clean, renewable power, Nevada currently produces more geothermal energy than any other state in the U.S. except California. If Nevada were a country, it would be the eighth largest producer of geothermal power of the 25 countries generating this form of renewable electricity today. Nevada could become one of the world’s leading generators of geothermal energy if the state continues to invest in its geothermal resources. USGS estimated that there is on average 1,300 MW of identified and 4,300 MW of unidentified geothermal resources in Nevada. Many of the largest geothermal fields in the state such as Dixie Valley, Rye Patch, Steamboat Hills, Fish Lake Valley, Beowawe and others still have significant untapped and under developed resources. According to EIA data, the existing projects and those under development would be equivalent to about 15 percent of all electric generating capacity in Nevada in 2010. Geothermal power already generated nearly three quarters of the state’s renewable energy in 2012. 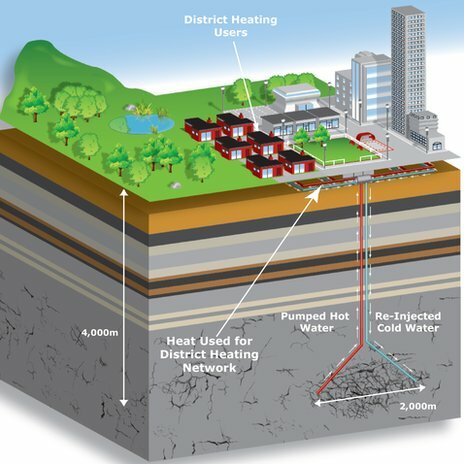 GT Energy has tapped SLR Consulting to submit a planning application for the next phase of its proposed deep geothermal heat plant and district heating network. The instruction follows SLR Consulting’s recent success in helping GT Energy to secure planning permission for the heat plant element of the scheme – a project which involves the drilling of two 3,200 meter deep boreholes and the construction of an underground heat plant which is capable of providing heat to around 6,000 homes and businesses. El Instituto Costarricense de Electricidad (ICE) ha estimado en unos 1,000 megavatios las reservas de energía geotérmica en Costa Rica pero no pueden tocarse por falta de acción política y legislativa. The Instituto Costarricense de Electricidad (ICE) has estimated there are about 1,000 megawatts of geothermal energy reserves in Costa Rica but they can not be touched because of a lack of political and legislative action. In Part I, we discussed proven financing strategies for the drilling and construction phases of geothermal energy projects. The next stage of financing a geothermal project is the “permanent financing” phase, which is generally attempted once the project has achieved Commercial Operations (COD). At this stage, developers have drilled the reservoir wellfield, installed the geothermal brine gathering system, constructed the power plant unit(s) and tested and synced the turbine generators to the electric grid. In other words, the construction phase is complete and developers start the transition to the operational phase. Twenty cities in Turkey, selected by the General Directorate of Mineral Research and Exploration, are to be explored for their high geothermal energy potential in 2014 at a cost of US$13 million. Turkey currently is producing 311 MWe from geothermal energy compared with 15 MWe 12 years ago and is planning on concentrating on renewable energy and its national energy resources such as coal, geothermal, hydro power, wind and solar energy to meet its 2023 target of having 30 percent of its energy coming from renewable sources. Plans for a geothermal power plant in the Mount Layton Hot Springs area near Terrace in British Columbia, are still in the initials stages, but if the project were to proceed as intended, it could generate enough electricity to power close to 10,000 homes. Exploration on the potential for a 15 MWe geothermal power plant, through a Kitselas First Nation-led consortium that also includes Enbridge and geothermal exploration company Borealis Inc., is set to being this spring, confirmed Chris Knight, an advisor for Kitselas. The Oregon Convention Center (OCC) has announced it has achieved Leadership in Energy and Environmental Design (LEED) Certified,™ Platinum, from the U.S. Green Building Council (USGBC). The Convention Center is only one of two in the United States to hold that distinction and continues what has now become a Portland tradition of achieving the highest levels of sustainable practice. The GRC Annual Meeting & GEA Expo will be held September 28 - October 1 at the Oregon Convention Center in Portland, Oregon, USA. Applications must be received by April 4, 2014 to be considered. 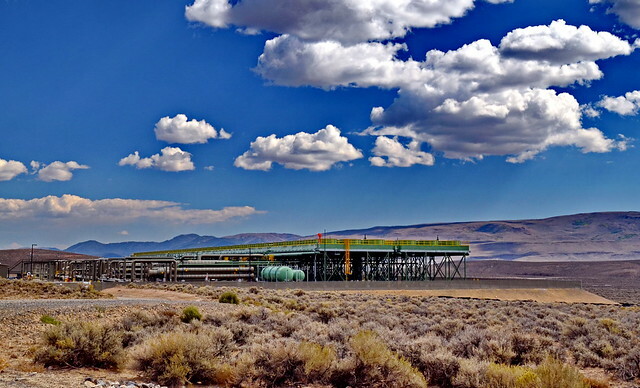 Ormat Technologies, Inc. received the incentive for its Don A. Campbell geothermal power plant in Nevada, after undergoing a rigorous screening process that included meeting State and local statutes requiring the project provide employment for Nevadans, major capital investment in the State; and providing a living wage with comprehensive health benefits. Once completed, the power plant will be capable of generating 20 MWe, which will be sold to Southern California Public Power Authority under a 20 year contract. It will utilize 13,800 acres of public land in Mineral County, and will include photovoltaic panels and related right-of-way features including a substation and switchyard facilities.